Well we're hoping for enough kids to sign up for fall-ball to field a team. We'll have to have some players "play up" to the next age group kid pitch from what I understand. The boys have received solid coaching this year. In a time when fundamentals are overlooked by some coaches, our boys are learning the game while having "mad fun". 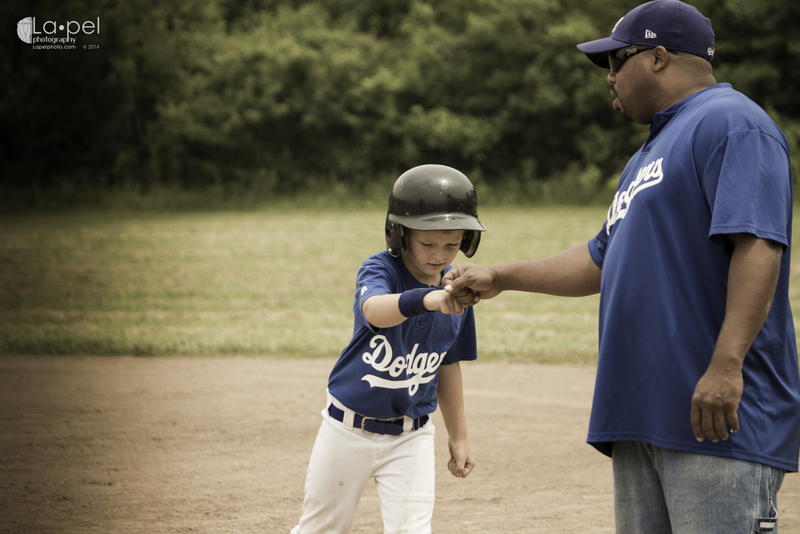 Encouragement is a key fundamental skill of all good coaches, as well as teaching sportsmanship by showing good sportsmanship. 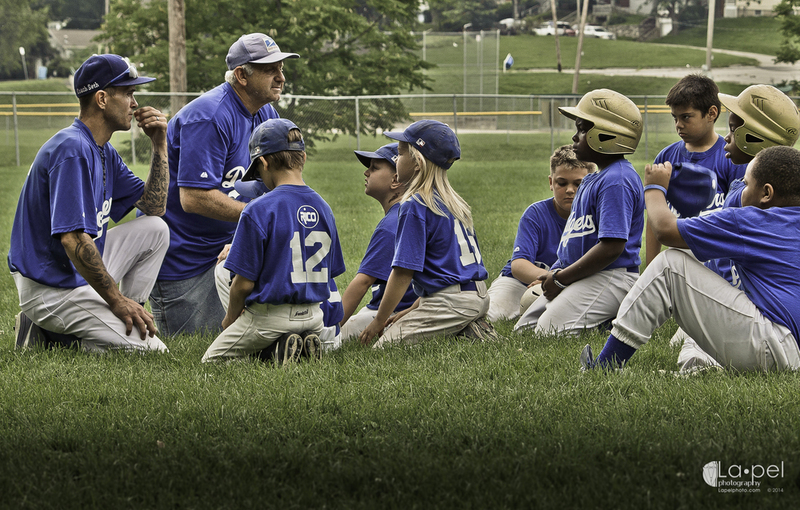 Throw in a little work ethic, bonds of comradery, and core teaching skills and we've got the makings of a baseball family. I am so inspired by our coaches. They give their time and their hearts to make a difference in these young boys' lives. As the regular season has come to an end, I reflect back on some moments that moved me as I captured them. As far as the particulars in the images, I had a pretty harsh midday light to deal with. In the shot with Coach Kenny, I shot this pic with my Canon 70D. I needed the length so I put on my 55-250mm lens. I shot at F/5.0, ISO 100, @ about 130mm. Because of the light was so harsh, I shot with a snappy 1/500 sec shutter speed. In Adobe Lightroom I warmed up the photo with a quick white balance adjustment and a few slider tweaks, but nothing too drastic. I did however add a graduated filter on the left side of the pic with a 1.5 reduction in exposure, a bump in contrast, and a large reduction of clarity. I wanted the trees to melt away and lead the viewer into the subject interaction. Coaches Seth and Ray's group pic was a bit different. There was an overcast with some pretty quick moving clouded sky. This created variables from shot to shot as the sun ducked in and out of the clouds. I got this one with the same kit as above at 1/160 sec at F/8, ISO 200 at about 80mm focal length. I used the graduated filter to create a subtle dark-to-light fade moving upwards, in an attempt to bring the viewer closer and add a pinch of drama to the pic. I won't breakdown every adjustment I made to this pic, because there were many and they were very subtle in their use. I wish all the boys the best of luck in the upcoming tournament. As we transition into fall-ball I hope that we carry the same dignity and class into Wyco league play that we've played and coached with all season in KCK RBI.